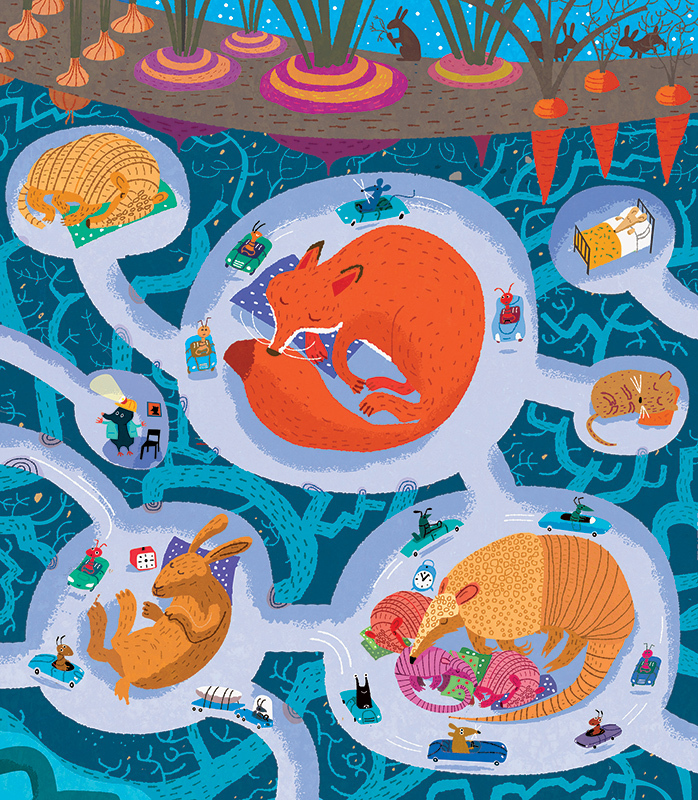 Just looking at Paul Boston’s latest artwork makes us feel sleepy. With a warming colour palette and soft textures we want to snuggle up tight with these lovely characters. This wonderful illustration is the latest addition to Paul’s portfolio. To see more of Paul’s work, click here. Paul Boston is represented by Kids Corner. Published on 20 September 2018.